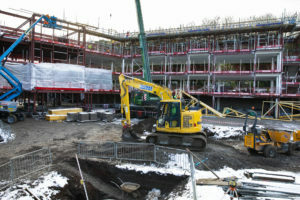 A new £8.5m extra care scheme in Holywell will be called Plas yr Ywen. The name for the 55-apartment scheme – which translates as Yew Hall in English – takes its lead from a Yew tree which has been preserved at the site of the former Ysgol Perth y Terfyn on Halkyn Road. 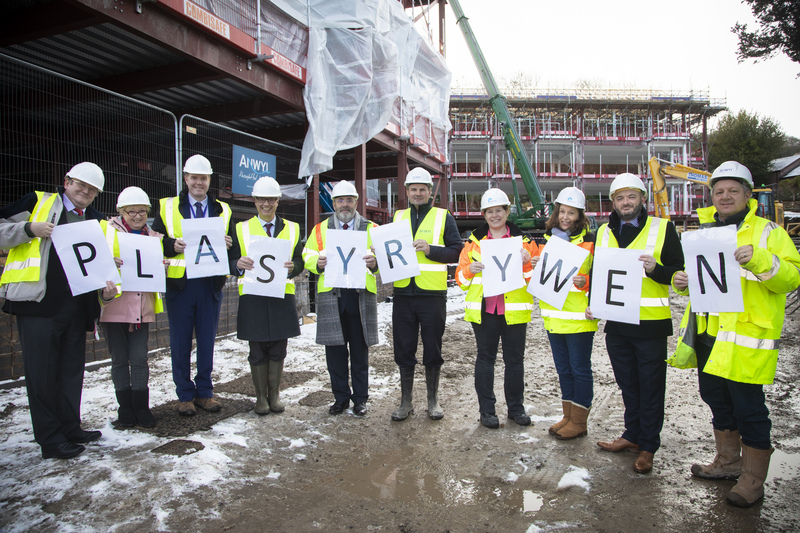 Anne Hinchey, Chief Executive of Wales & West Housing, said: “We’re thrilled to see how quickly work has progressed with the scheme and already can’t wait to see the first residents move in early next year. Flintshire County Council’s Cabinet Member for Social Services, Councillor Christine Jones, said: “This is another great step forward for our latest extra care scheme in Flintshire. With the Council and Wales & West Housing working in partnership together, we are all looking forward to seeing this scheme come to fruition. Tom Anwyl, Managing Director at Anwyl Group Construction Division, commented: “We’re thrilled to be once again working in partnership with Wales & West Housing and Flintshire County Council on the Plas yr Ywen scheme, revitalising the former school site in Holywell. “We have projected that the works will create 8 new apprenticeship opportunities, with 1 new apprentice and 1 trainee having been already recruited at this early stage, along with the offer of many more work experience placements and training opportunities for people in the local area. An open day for the public to find out more about Plas yr Ywen will be held in Holywell on Tuesday 9 April, venue to be confirmed. Please call 0800 052 2526 or email contactus@wwha.co.uk for more information.